Did you know Beans are a superfood? They are a nutritional powerhouse that are an excellent source of fiber, protein and carbohydrates. They are also rich in antioxidants, vitamins and minerals. 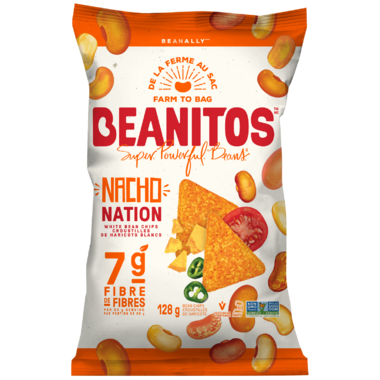 Get more from your snacks than just great flavour with Beanitos! 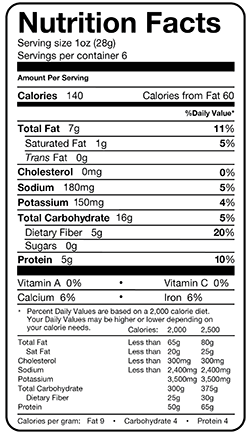 Ingredients: Whole navy beans, pure sunflower oil, long grain rice, cheddar cheese (milk, cultures, sea salt and enzymes), whey, buttermilk, sea salt, tomato, spices (chili pepper, chili, cumin and oregano), garlic, onion, parmesan cheee (milk, cultures, sea salt and enzymes), citric acid, paprika, non- GMO natural flavour. Odd taste, thought they were stale but checked the expiry date and it was fine. I'll try another flavour. These are so delicious! 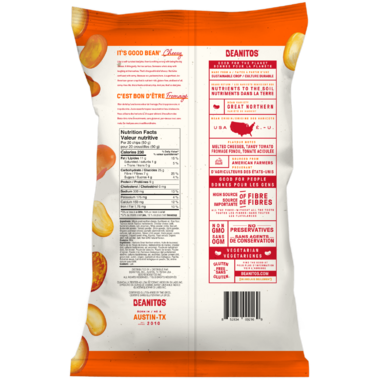 Just be warned - you WILL eat the entire bag.